Are you as hungry as I am when you wake up in the morning? I'm the type of person that has to eat as soon as I wake up because my stomach literally hurts! 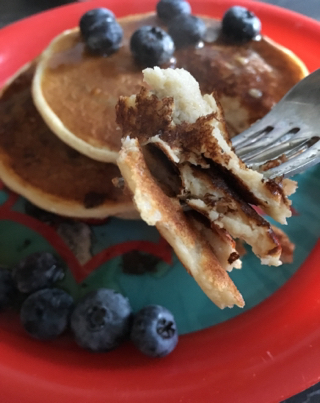 These pancakes are so simple and quick! 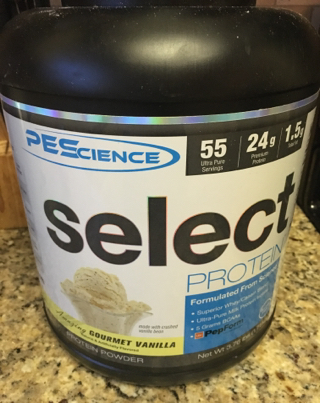 31 g (almost one entire scoop) of Pescience Gourmet Vanilla Protein (I've used the snickerdoodle too!) The protein powder just needs to be a whey/casein blend! If it's just an isolate they will come out a little dry. Add water! 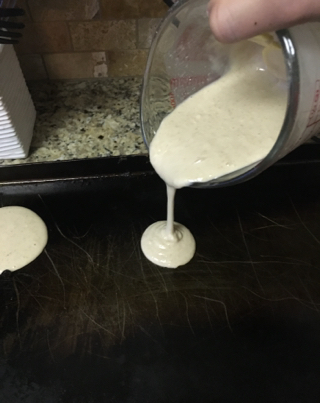 I add a little bit of water at a time and mix until I have a perfect pancake consistency! Flip after about a minute or so! 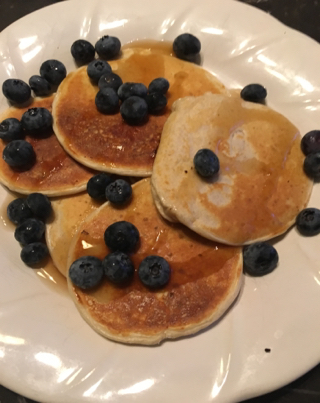 Top with your favorite fruit and sugar free syrup!! 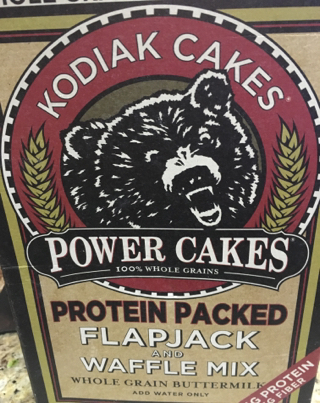 They are so fluffy, my kids don't even notice that they are protein packed!! This recipe is ONE serving! 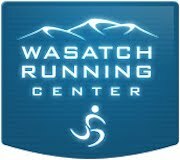 Give them a try and let me know how you liked them!